When I was in high school, I drove a ’94 Dodge Caravan ... into the ground. It was initially loaned to me by my grandmother, but the more I drove it, the more I trashed it. Eventually, she saw the way the wind was blowing, and the vehicle became solely my responsibility. I used it as irresponsibly as I could. A party-on-wheels, "The Granny Van" was a little too much car for an "invincible" teenager. See, minivans are meant for hauling soccer teams around and are deceptively powerful. When you step on the gas, they go. The Fortuna Police knew The Granny Van on sight. I got my first speeding ticket going over 100 mph. In retrospect, stupid. At the time, badass. By the end of its run, The Granny Van had all of the back seats ripped out of it -- you can fit way more drunk teenagers in the back that way -- and a lot of duct tape was used to hold on various car parts that were never intended to have duct tape on them. I never really believed in maintenance or oil changes, and eventually The Granny Van paid for my arrogance. After one explosion too many, I sold it to a guy I knew up on the reservation. 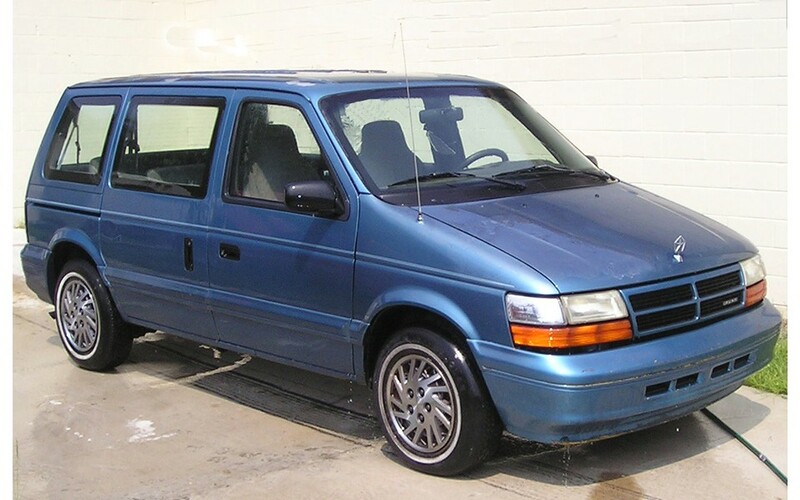 My grandmother had bought a nice van new in 1994 for somewhere around $20,000. I sold it in 2001 for $200. In my opinion, The Granny Van is the essence of a "classic" car. Ballads have been written chronicling its exploits. But for some reason organizers of the Fortuna Redwood AutoXpo or the AutoRama before it never asked me to enter it. Pshaw. They only seem to be interested in cars that "look good" and are "duct tape free." Whatever. But in all seriousness, Humboldt County car enthusiasts, this is your weekend. The Annual Redwood AutoXpo kicks off in sunny, friendly Fortuna on Friday, July 23. What started out 20 years ago as a small high school car show has grown to a three-day-long event that draws around 20,000 people yearly. Expect few minivans. The weekend is heavy on ’40s, ’50s and ’60s-ish Americana. On Friday, after you enjoy watching the cars rollin' in The Cruise that officially kicks off the weekend, you'll want to don your poodle skirt and bobby socks for the annual Sock Hop that takes place at the River Lodge from 8 p.m. to midnight. Classic rock ‘n' roll, baby! The fun continues Saturday, with the cars displayed on Main St. and in front of the Veterans Hall all day. This is the day to mill around Fortuna and check out more cars than one person could ever drive (‘cept maybe that creep Leno) and plenty of shining chrome. Other events that day include a Tractor Pull at the Rodeo Grounds at 1 p.m. and a Poker Run at 5 p.m.
Sunday will see trophies handed out the winners of Saturday's judging, but spectators will want to be sure and check out the roadsters competing in the Burnout Contest at the Rodeo Grounds at 2 p.m. Expect lots of smoke and the intoxicating smell of burning rubber. Sweet. Check out redwoodautoxpo.com for full schedules and more info.